Mulch is a layer of usually organic matter used around the base of plants to enrich the soil, repel weeds and retain moisture and warmth. Compost and composted manure- versatile and can be used almost anywhere in the garden. Decomposes quickly so will need replenishing more often, but enriches the soil effectively. If buying manure, ensure it is certified as organic so it doesn’t contain traces of veterinary medicines. Bark- works best around trees and shrubs that need very little maintenance. Very good at suppressing weeds and retaining moisture, but can be difficult to move so best used in areas where the soil needs no further disturbance. Grass- very effective at suppressing weed growth in vacant areas of the garden. Care should be taken when using around plants as grass cuttings can grow slimy and clump together preventing water from entering the soil. Newspaper- surprisingly one of the more effective mulches for use in organic gardening, however, the dyes and inks used on the paper must be organically sourced. Newspaper mulch is able to suppress weed growth, retain moisture and regulate soil temperatures. Approximately 4 to 8 sheets can be moistened and spread around the base of the plant. The newspaper mulch can then be covered with an inch thick layer of another mulch ie compost and left to do its work. Shredded leaves- Leaves are a great material for improving soil quality and attract plenty of worms and other beneficial organisms to the area. They are less uniform looking that other mulches but this makes them perfect for woodland and more “natural” gardens. Straw- Straw is an ideal mulch for vegetable patches. It decomposes slowly meaning it shouldn’t need replenishing all season and is excellent at keeping the soil warm and moist. It also makes an ideal habitat for spiders who will keep pests away from your vegetables. 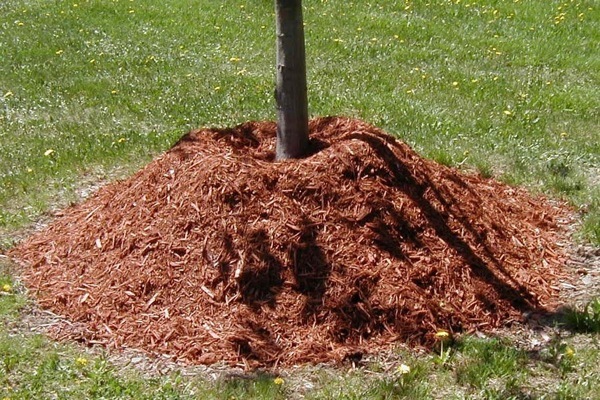 How should I start using mulch? Mulch is best applied to the soil in late spring or autumn, when the ground is relatively warm and moist. This means that that the warmth and moisture can be maintained underneath the mulch for the entire season. Depending on the nature of the organic material, the mulch will decompose at varying speeds. Compost will decompose significantly quicker than straw or bark, so will need to be replenished sooner, however, the soil will gain more nutrients from the process. Only replenish mulch when the original layer has fully decomposed to prevent an overly thick layer from forming and stopping water flowing into the soil. In an organic garden, try to stick to biodegradable, organic matter to form your mulch. Carpet is sometimes used as a protective mulching layer and to conserve warmth and prevent the growth of weeds. However, most carpets are exposed to harmful chemicals, particularly in their fire retardant layer, which will harm the plant, the soil quality and potentially the health of surrounding wildlife. 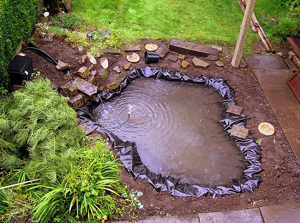 Plastic and landscape fabric do a good job at preventing weeds, but can heat up to very warm levels in the summer, killing many of the beneficial organisms in the surrounding soil if not allowed to drain properly. Synthetic mulches need to be replenished less often but contribute much less to soil fertility.